Mr. Rayudu is a member of American Federation Astrologers (AFA). 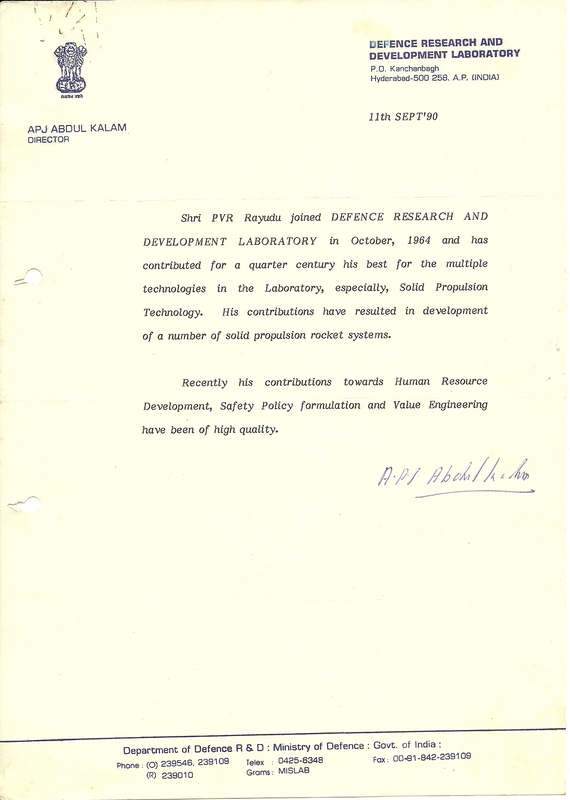 He gave a lecture on his Computerized Research work in their convention held in USA in 1992. This research work was published as a Book titled “How to Read a Horoscope” — A Scientific model of prediction based on Benefic and Malefic analysis of planets and bhavas as per Hindu Astrology” in 1997. 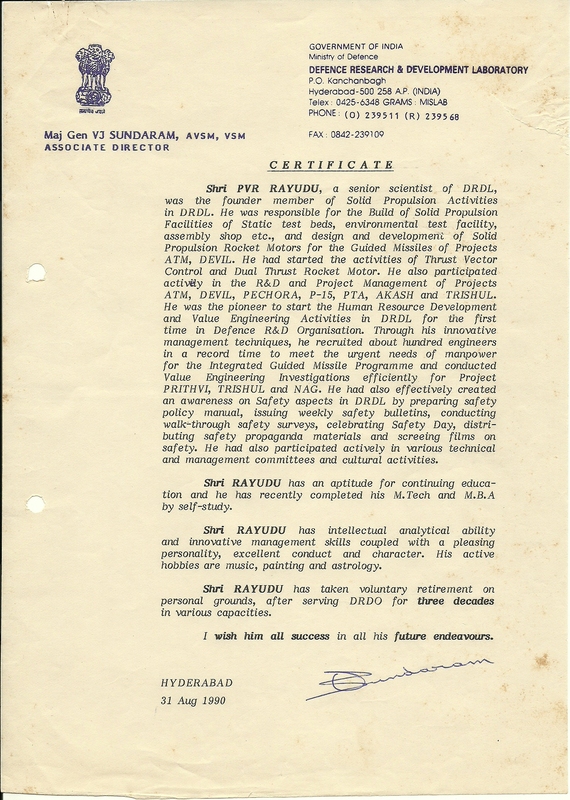 In 2006, The Department of Culture, State Government of Andhra Pradesh (India), presented the Ugadi Award to Shri Pemmaraju V. R. Rayudu for his distinguished services in the field of Jyotish (Astrology). In 2011, Mr. Rayudu received Doctor of Astrology, Jyotish Kalidash, Rajiv Gandhi Shiromani, and Noble Son of India awards. Mr. Rayudu, BE, M.Tech, a former Senior Scientist and Deputy Director of Defence Research and Development Laboratory of Government of India, has been studying, researching, and practicing Hindu Astrology for the last three decades.